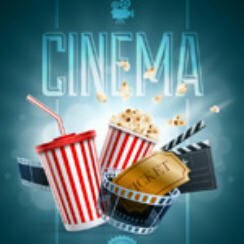 Take Popcorn Cinema Show’s Movie Quiz General Knowledge 5 and put your film knowledge to the test. Question #1: What was President and actor Ronald Reagan’s last feature film appearance? Question #2: Who provided the voice of chronically-depressed robot Marvin in the 2005 film A Hitchhiker’s Guide to the Galaxy? Question #3: What was the first feature film directed by actor Clint Eastwood? Question #4: What was James Cagney’s last feature film? Question #5: Who played gangster “Spats Colombo” in the 1959 comedy Some Like It Hot?